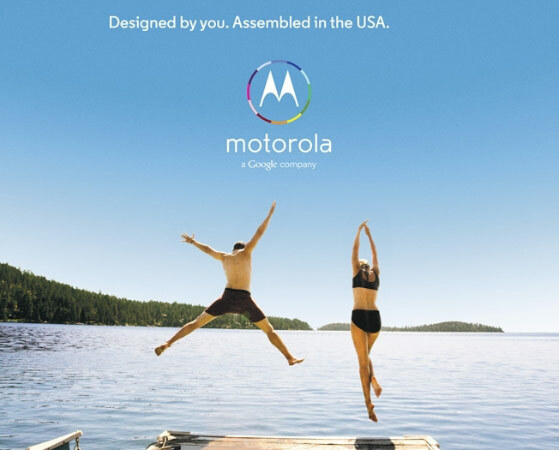 We've heard few details about Motorola's upcoming flagship smartphone since the firm's CEO teased the device at D11, but a full-page advertisement in several of the country's top newspapers today hinted at customizability, which ABC News has now confirmed. According to an article on the broadcaster's website, the device will be available in different colors, with an optional engraving. And, since it's due to be manufactured in Texas, the customized device will reach American consumers within a few days of an order. Customers will be able to select colors for both the back panel and the smartphone's side trim. Additionally, you'll be prompted to upload a photo that'll be used as the device's default wallpaper. Like traditional handsets, Moto X will also be available in retail stores, according to ABC's sources, though you'll need to order online if you want a non-standard configuration. We're still waiting on specification details, pricing and availability, but if today's ads are any indication, we can expect a formal launch soon. Update: Wednesday is turning out to be a good day for Moto X leaks. Following news of customizable colors, we've just come upon a snapshot that purports to show off three of these options: teal, red and fushia. You can take a peek after the break, and we have a feeling these might be just the first of many colorful leaks to come.